The Kankasanthurai area will undergo a major transformation with the Sri Lanka Ports Authority (SLPA) set to launch the Indian-funded Kankasanthurai harbour development project. 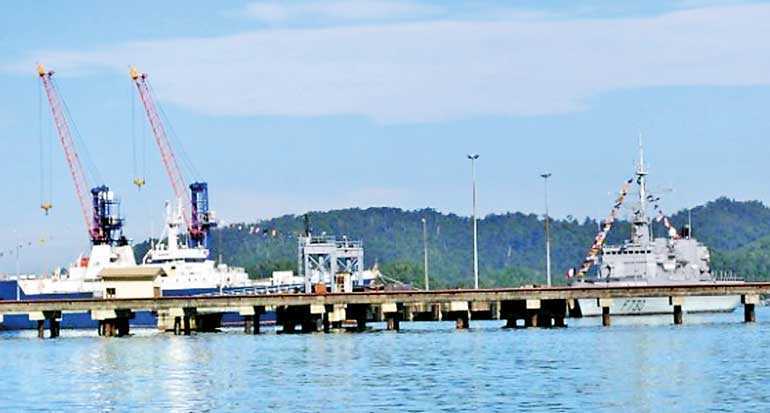 Prime Minister Ranil Wickremesinghe, Ports, Shipping and Southern Development Minister Sagala Ratnayaka and other senior officials will visit Kankasanthurai early next month to kick-start the $ 45.27 million project. Under the three-year development plan, the Kankasanthurai Harbour, currently operated by the Sri Lanka Navy, will be transformed into a port that can handle general cargo. “This will immensely help our import and export sectors, making a direct impact on the economy. It will also develop infrastructure in the area and generate a large number of direct and indirect employment opportunities,” Minister Ratnayaka said. “Under this plan, the harbour’s basin will be deepened to nine metres, allowing it to handle general cargo ships. The current breakwater will be completely replaced as part of the transformation. One existing pier will be completely rehabilitated and a new pier will also be constructed,” he added. “The SLPA has already begun initial work relating to the plan on a 15-acre area within the KKS harbour premises. At the next stage, the work will expand to a 50-Acre area,” the Minister said. The SLPA is currently in the process of appointing consultants for the initial planning process of the project. Following the assessments by consultants, a constructor will be selected through a transparent process and the constructions will begin. The minister expressed confidence that the entire project would be completed before end 2020.